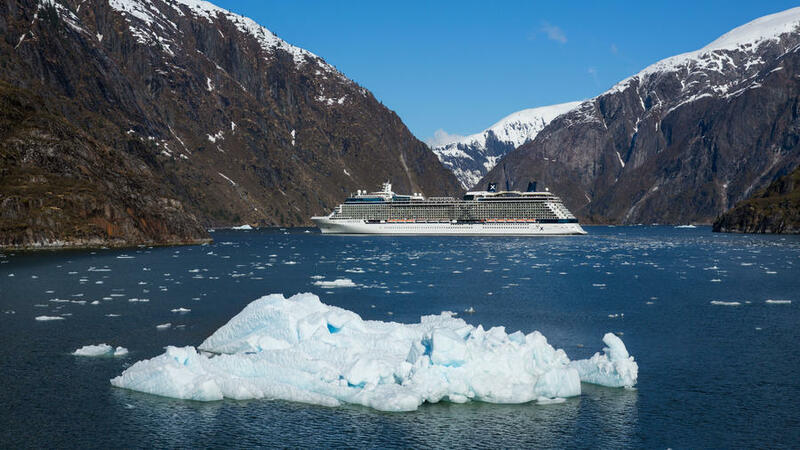 A cruise is one of the best ways to visit Alaska. It all starts with a question: What do I want from this vacation? R&R by the pool? Kayaking with whales at dawn? While there’s no overall “best cruise,” there are certainly best cruises for different travel styles. Rather than choosing a ship based solely on price, first research the various lines to find the one that matches your travel personality. Then read reviews from past passengers and consult a travel agent who specializes in cruise vacations to help guide you to the best options for your interests. Once you’ve narrowed it down to a few lines, then begin to compare itineraries, prices, and timing to find the best ship for you. Large ship or small? It’s important to have your preference in mind. Large ship vs. small ship: What are the differences? The onboard experiences between large ships (2,000-plus passengers) and small ships (1,199 or fewer passengers) vary greatly. A big ship is like a small city with all of the restaurants, enrichment programs, entertainment, and recreation that you’d expect. On the other hand, a small ship experience is more akin to escaping to a cozy town, where options are limited but service is more personal. When it comes to itineraries, it’s important to note that larger cruise vessels tend to go to bigger ports whereas small ships can easily visit marquee stops and out-of-the-way and exotic places. What’s the best time of year to cruise? Short answer: Whenever’s best for you. If you’re traveling with kids and are limited to school holidays, you’re pretty much limited to winter vacations over the holidays, spring break, and summer—all busy times in the cruise world. But if you’re retired, or have a flexible schedule, low season trips (Alaska in late spring, Hawaii in spring and fall, and the Mexican Riviera just after Christmas and then again once the spring break crowd has returned home) are a good value. If you’re not necessarily looking for the cheapest price, but want to visit during a destination’s peak season, consider Alaska from June to August, Hawaii late December through April, and Mexican Riviera February through mid-April. Cruise Critic’s guide to the gives additional insight for other destinations’ peak and low seasons to time your cruise just right. Onboard entertainment can be a big bonus. What’s included in the cost of a cruise (and what’s not)? Cruises are often misrepresented as being “all-inclusive.” And while not everything is included, there’s certainly plenty covered in the cost of a cruise fare: accommodations, meals in the main dining room, and nightly entertainment. Considering you can find cruises at around $75 to $100 per night, that’s not a bad deal. But it’s also important to know what’s not usually included in a mainstream cruise fare, including: beverages (alcoholic and nonalcoholic), gratuities, Internet access, and shore excursions. All of which, trust us, can add up. Looking to beat those extra fees? Cruise lines sometimes offer special deals that waive some of those extra costs, which can save a bundle. Luxury and river cruises often include many of those costs in their cruise fares. To help budget for add-ons, check out Cruise Critic’s guide to the . How can you avoid seasickness? Today’s ships are built with technology to make the journey feel as smooth as possible. That said, there’s no guarantee you won’t get a dose of the woozies. After all, you’re on a boat, out at sea. If you’re truly stressed about getting seasick, think about taking a large ship. The bgger the boat, the less you’ll feel the ocean beneath you. Pay careful attention when choosing a cabin as well: Those on lower decks, situated closer to the center of the ship, are known to experience less of that rolling motion. Also, choose your itinerary carefully; cruises in Alaska and British Columbia take place mostly in quieter waterways and fjords. River cruises, whether on America’s Mississippi or the Columbia, will definitely bring smooth sailing. And once booked, come prepared: ginger candies, medicine for motion sickness, and pressure bands are all known to help combat seasickness. For more information on planning a cruise, visit .